When it comes to good nutrition for your infant, breast milk is always best. But breast milk is not a good source of vitamin D, and some infants may require vitamin D supplementation -- but this should only happen under medical supervision. Coconut oil is an acceptable fat choice for infants, but it also is not a good source of vitamin D. Consult your pediatrician about coconut oil and vitamin D needs for your infant before making changes to your baby's diet. Vitamin D helps the body absorb calcium and plays an important role in bone mineralization. Infants who are breast-fed, exclusively or partially, require vitamin D supplementation because breast milk contains only a small amount of the fat-soluble vitamin -- not enough to prevent rickets, which is a condition that causes softening of the bones. 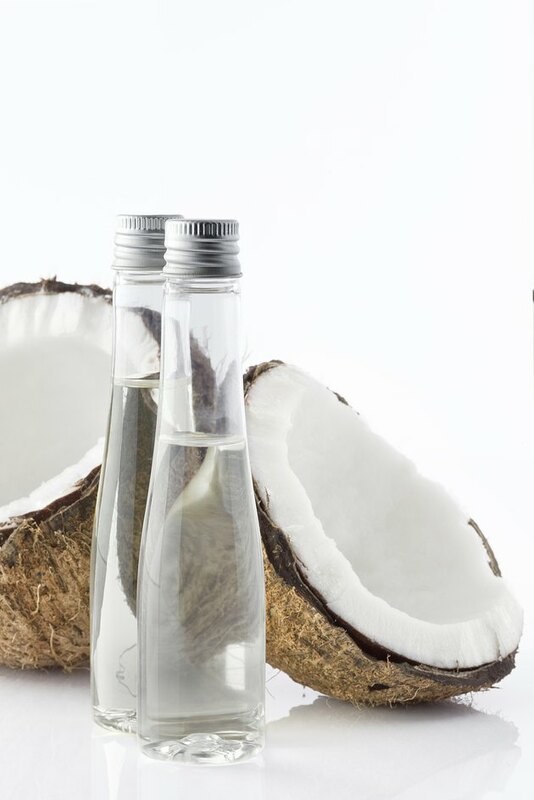 Coconut oil is a concentrated source of calories and fat, but it is not a good source of any other nutrient. One tablespoon of the oil contains 117 calories, 14 grams of total fat and 11 grams of saturated fat. Coconut oil does not contain any vitamin D but does have small, insignificant amounts of vitamin E and K. The 1-tablespoon serving meets less than 1 percent of the daily value for both vitamins, with 0.01 international unit of vitamin E and 0.1 milligrams of vitamin K.
The American Academy of Pediatrics recommends that all breast-fed babies start supplementing with vitamin D at birth and continue until weaned to a vitamin-D fortified infant formula or milk. While the body is able to produce its own vitamin D through sun exposure, this is not a safe way for infants to meet their vitamin D needs, according to the Office of Dietary Supplements. The AAP recommends infants not be exposed to direct sunlight and be covered up to limit damaging ultraviolet light exposure. Coconut oil can be a good source of fat and calories for your baby and is considered safe to add to the diet starting at 4 months. Babies need a high-fat diet to promote growth and brain development. When adding any new food to your baby's diet, such as coconut oil, only add one new food at a time and monitor the baby closely for allergic reactions. The coconut oil can be mixed in cereal, fruit or vegetables as tolerated and depending on your infant's feeding stage.